The Western ArcticDefinitions of the Arctic vary according to environmental, geographical, political, cultural and scientific perspectives. Some scientists define the Arctic as areas having a high latitude, long winters, short, cool summers,... More Research Center (WARC) is operated by the Aurora Research Institute and Aurora College. The station is owned by the Government of the Northwest Territories (NWT). 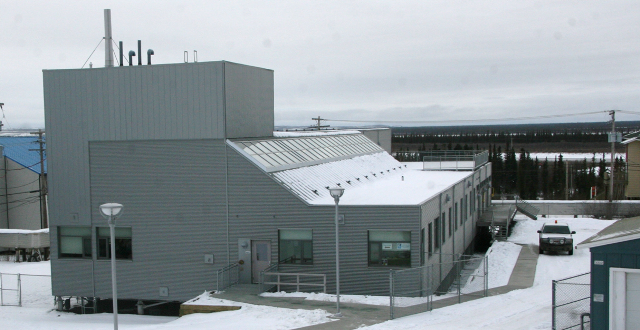 A research center first opened in Inuvik in 1964; the original facility was torn down in 2010 and replaced with the Western Arctic Research Center, which opened in 2011. WARC contains a conference room, classroom, three laboratories, a research library, a staging area/loading bay, a workshop, and office space for 15 people. Accommodations are a 10-minute walk from WARC in a residential neighbourhood, and include 4 houses each containing 6 beds, living space, a kitchen, a full bathroom, and laundry facilities. Some extra accommodations are available in the Aurora College dorms during the summer season. WARC can support between 24 and 34 people in our accommodations, and up to 75 in our main facility, at any given time. Inuvik is accessible via the Dempster Highway for most of the year, except for periods in the spring and fall when both the local ice roads and ferries aren’t in operation. Air service runs year-round, and includes daily jet service from Edmonton, Yellowknife, and Whitehorse. The Inuvik Regional Airport is a 15 minute drive from the town, with readily-available cab service. Depending on destination and season, field transportation can include car/truck, snowmobile, boat, charter plane, or helicopter.